The holidays are here and with them come our seasonal residents, escaping the cold and snow from all over the country. Many Sarasotans (full-time or seasonal) will not see snow at all this year, in fact (and I'm one of them!). Michael Saunders & Company partner, Christie's International Real Estate, recently posted some of the best homes in winter wonderlands currently on the market. So grab your lemonade, wipe the sand from your feet, and get into the holiday spirit from our 75 degree paradise by checking out this lovely set of wintery escapes. This blog was excerpted from Christie's Luxury Defined blog. You can read the full article here. Here come the holidays, with a layer of fresh powder for your skis. Luxury Defined presents six scenic homes designed to make the most of the season—and the snowpack—in ultimate convenience and creature comfort. From a grand chalet in the Italian Dolomites to a gorgeous mountain estate in Telluride, these deluxe residences come alive at wintertime, with glamour and glow enough for a 21st-century Currier & Ives print. There’s an ultra-chic, ultramodern apartment in St. Moritz; a mountain-view home under the big sky of Jackson, Wyoming; and, luxury ski homes just steps from the pistes and lifts near Sun Valley and Tahoe. Ski in or ski out, or take your place by the hearth and dream of springtime. Sleigh bells ring. Are you listening? 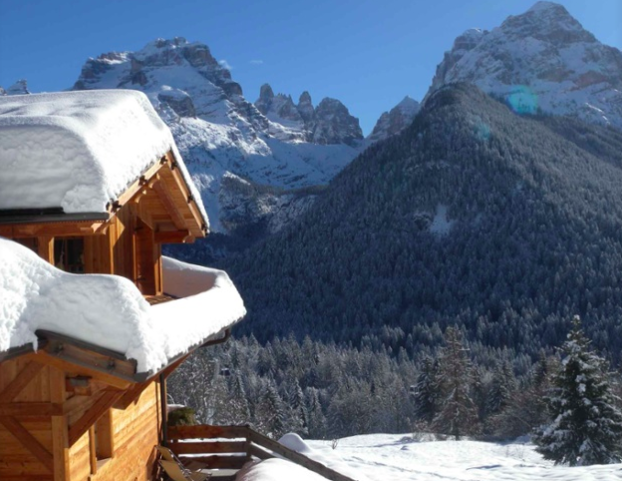 This magnificent alpine chalet, poised on a mountainside in the Brenta Dolomites, is perfect for ski and apres-ski, Italian style. [side note: This interesting and stunning property was also featured in our blog about architectural works of art. This uber-chic apartment offers a bird's-eye view of St. Moritz from its coveted location in the Sir Norman Foster-designed Chesa Futura residences. On 11 private acres near Gros Ventre butte, this contemporary marvel is set against the backdrop of Grand Teton National Park. This mountain estate, minutes from the Old West town and ski resort of Telluride, is a haven of tranquility and innovative design in Colorado's San Juan Mountains. Lake Tahoe is the setting for this beautiful log home equipped for four-season recreation and entertaining. 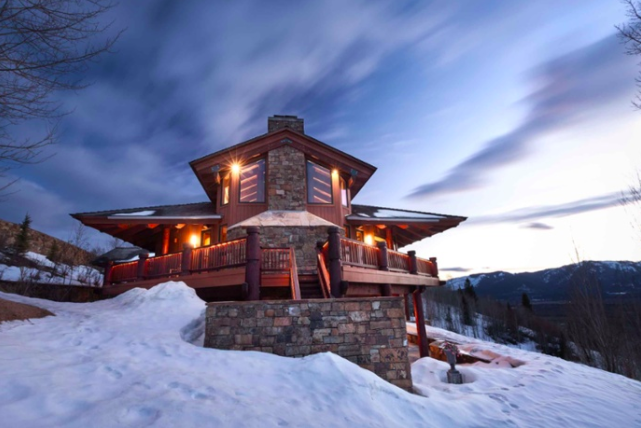 In a prized winter playground, this riverfront home is steps away from the chairlift to Bald Mountain Ski Area and 10 minutes' drive from the world-class Sun Valley Resort. Please give us a call today for any and all of your real estate needs. If you want to relocate or have a second home in our "winter wonderland," we can help, and if you desire to move to a winter wonderland of your own, we can help there too--by connecting you with one of our fabulous national and international real estate partners. Happy Holidays from The View from the Top! Older Post2017: The Year Sarasota Got Recognized... over and over again!